Youth Education Manager Lisa Morse grew up farming, fishing, and hunting in Freedom, New York where she grew to love nature and the outdoors. She earned her B.S. degree in Biology at Saint Francis University in Loretto, Pennsylvania and her M.S. degree in Marine Biology from Nova Southeastern University in Fort Lauderdale, Florida. Morse joined the IGFA in 2008 as a volunteer, became a part-time educator in 2009, then went full-time in 2011 as an Education Coordinator. 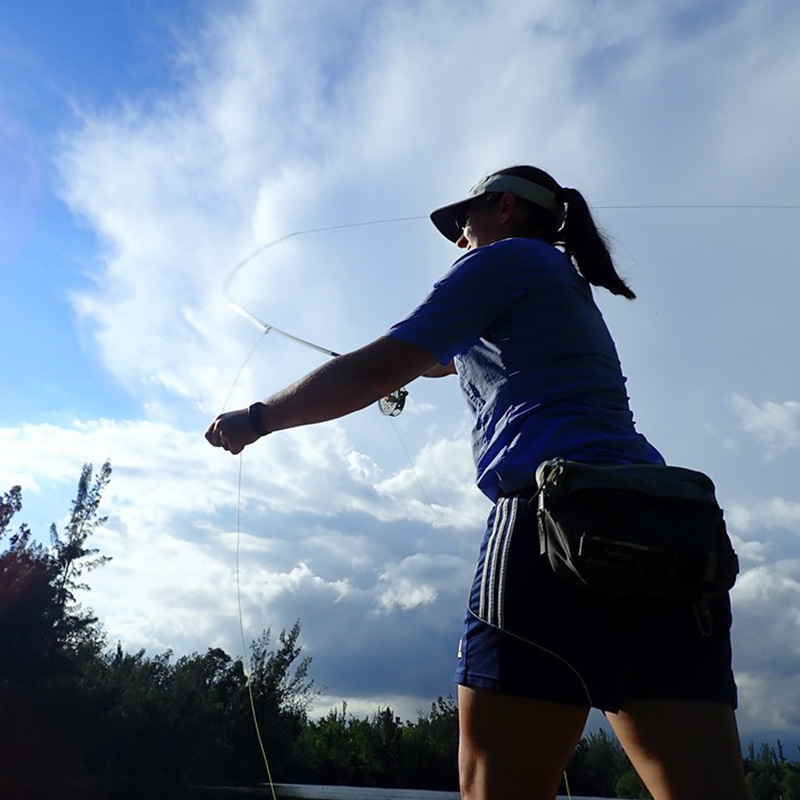 She also took on the role of Volunteer Coordinator in 2013 and is now the Youth Education Manager where she educates the next generation of ethical, conservation-minded anglers. Morse has a strong desire to pass along her passion for the aquatic environment to the younger children she teaches. Morse enjoys fishing, whittling and woodworking, kayaking, camping, and scuba diving, and holds Rescue and Master Diver certifications. When she is not working at the IGFA, she can be found practicing her newly-acquired passion for fly fishing; conducting fish identification surveys; or walking the beach picking up marine debris that has washed ashore.